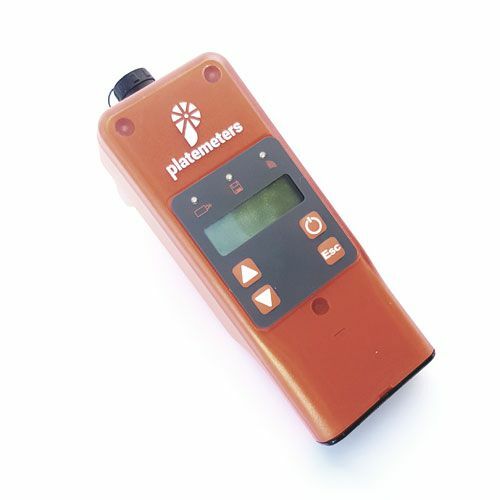 Thinking of changing your Platemeter? Why not upgrade your current AgHub/Farmworks Platemeter with one of our Upgrade Kits! Upgrading your existing platemeter can be a cost effective way to get the latest technology without having to compromise your existing investment. Upgrade your F75 to F200 spec, or your F300/F400 to G1000 spec for example. We offer 3 upgrade kits containing the necessary parts to convert your existing platemeter to F200, F300 or G1000 Specifications. Once you have ordered the upgrade kit, your existing platmeter should be returned to us (instructions sent with order confirmation) and we will supply the parts, change the counter, and service and calibrate the platmeter before it is despatched. Can I fit the counter myself? We can supply the upgrade kits for self-fitting however the platemeter will need careful calibration once assembled and no warranty can be given unless returned to us for fitting which is included in the price.